The dramatic coastline of Cornwall at the "Bedruthan Steps" near Newquay. 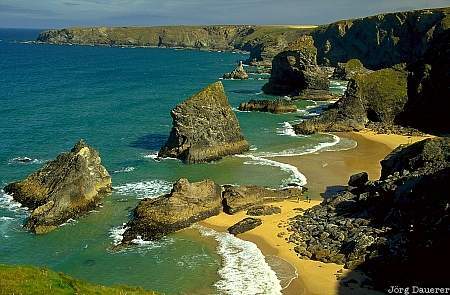 The Bedruthan Steps are in the north of Cornwall in the south-west of England, United Kingdom. This photo was taken in the morning of a sunny day in August of 2002.